Parkes Shire Council has successfully invested in new water treatment infrastructure in recent years with the commissioning of a Sewage Treatment Plant and Water Treatment Plant. These facilities have been constructed on land that has been previously farmed with small patches of remnant vegetation present. While important habitat in their own right for a range of species, these remnant patches are even more important as they represent Endangered Ecological Communities – vegetation communities that are so diminished that they are at a real risk of total demise if management efforts are not undertaken. At the Sewerage Treatment Plant the vegetation community is Fuzzy Box Woodland, while the remnant vegetation adjacent to the Water Treatment Plant is White Box Woodland. 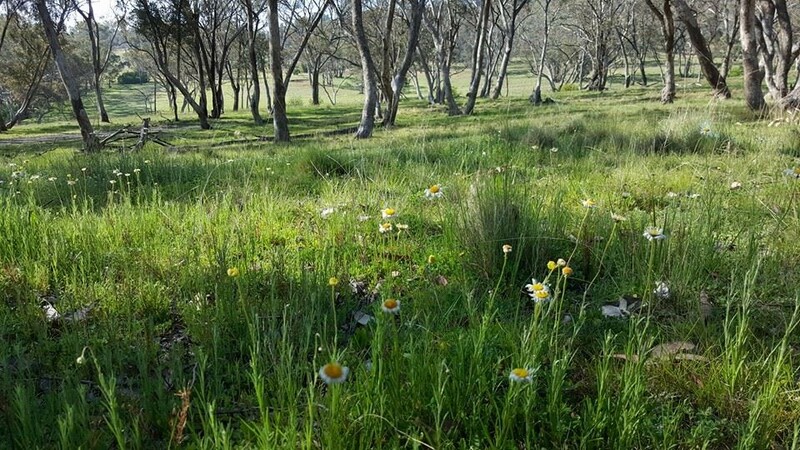 It was identified by staff at Parkes Shire Council that revegetation to extend and link the existing habitat would be beneficial in increasing biodiversity values. Additionally, increasing the total size of the existing vegetation patches provides greater resilience to threats such as weed incursion and degradation to these fragile vegetation communities. The sites were carefully assessed in order to ensure that the most appropriate land management techniques were used at each site. Some of the degraded areas were considered to have good recovery potential where previous land use hadn’t been so intensive, and where there exists an adjacent remnant that will act as a natural seed source. In other areas that were identified as having low natural recovery potential, revegetation was considered the best option for remediation. A total of 14 hectares has been revegetated with direct seeding selected as the main method of rehabilitating the sites. There are many benefits to direct seeding including value for money, seeds only germinating when conditions are suitable, high plant numbers germinating which resembles natural plant recruitment and relatively low labour involved. A total of 5kg of seed has been planted across the sites comprising various species of Eucalyptus, Acacia, Dodonaea and Allocasuarina. Early success has already been realised with many wattles and hop bush plants germinating and colonising the area despite drought conditions. It is common for the eucalypt species to germinate a little later and it is anticipated that these seeds will germinate as the conditions become more favourable. Additionally, it was considered that community engagement in the project was going to be critical to its success in not only protecting and enhancing remnant vegetation, but through awareness raising. In order to do this a National Tree Day event was held on site at the Sewage Treatment Plant in 2018. A great success, the event attracted 76 participants who planted a combined 390 plants across the project site. These plants were all guarded and follow-up maintenance including watering has ensured a healthy survival rate among these plantings. Further community education has been completed through the Parkes Shire Council Newsletter, social media posts and local newspapers. While the on-ground works have now been completed, Parkes Shire Council has committed to the maintenance of these sites in the long term. A project case study and interpretive signage are yet to be developed, with these project components planned to assist with community engagement and education. This project was proudly funded by Central West Councils Environment & Waterways Alliance to the value of $12,300.